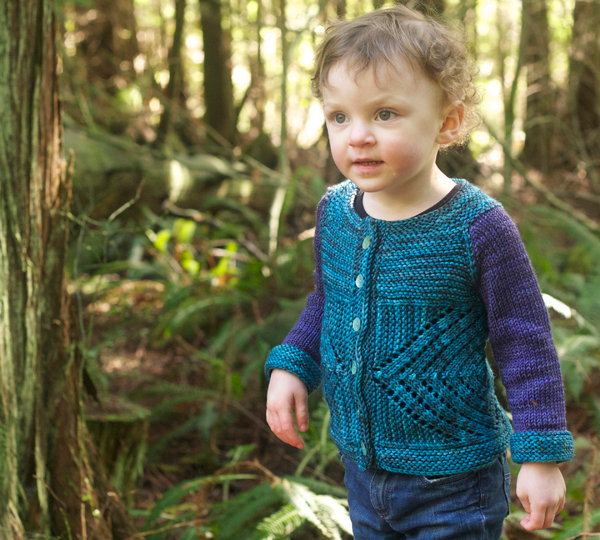 The Crossed Cardigan is not a difficult knit… precisely. 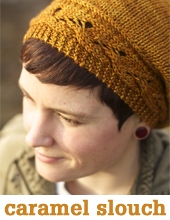 But the knitting process is a bit of a mind-bender! 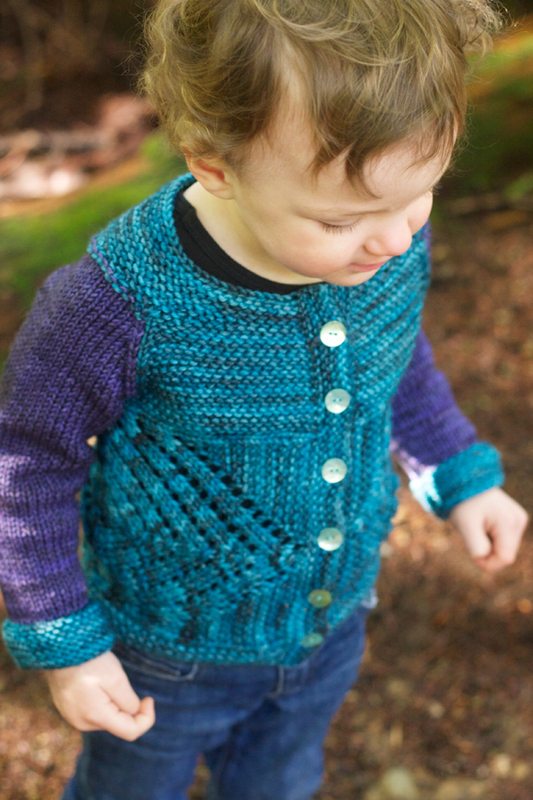 Before you cast on for this cute garter and lace cardi, check out the step-by-step explanation below for some guidance on the special construction. 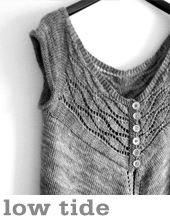 First, knit the sleeves, from the cuffs up to the underarms. Set aside, and proceed to the body. You begin the body in centre back, with a counterpane. 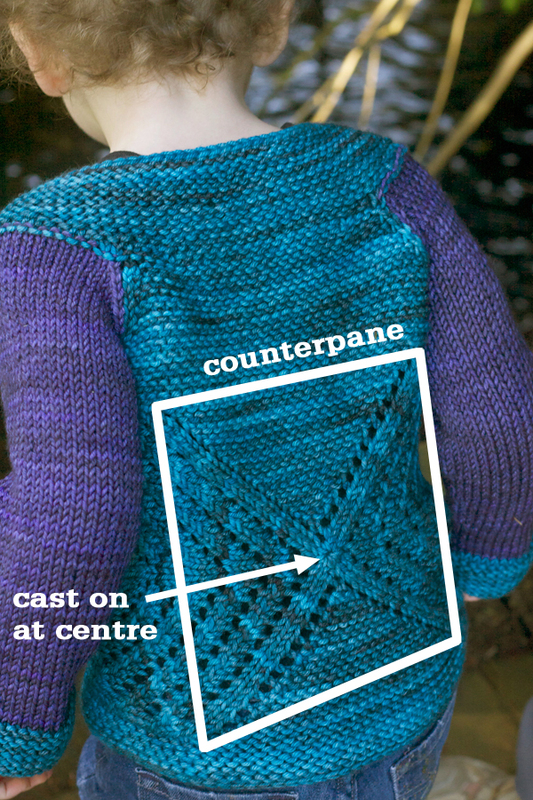 This counterpane begins with the pinhole cast-on, and then is worked in rounds to create a square. Once the square is complete, you proceed to knit the right side of the body, leaving the other 3/4 of the stitches from the square on hold. 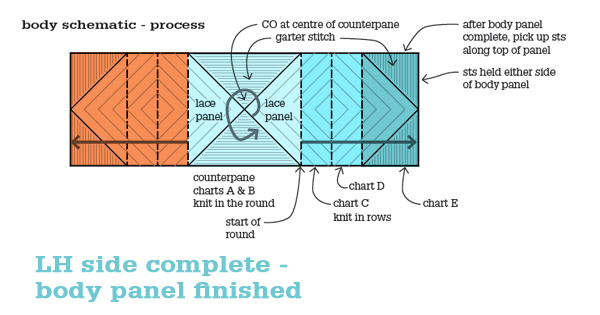 Using charts C, D and E, you continue the lace and garter pattern until its end, and place sts on hold. Then you go back to the original square, and place the held stitches back on needles, and work the left-hand side of the body section in the same way as you did the right. The body lace panel is now complete. To prepare for joining at the yoke, you will pick up and knit stitches along the top of the body section (and work the held stitches from the original counterpane), then work a few rows in garter stitch. Then, as is typical with a bottom-up seamless raglan, you join the body and sleeves together into a single row – the only difference in this case is that the sleeves are knit in a contrast colour, so you work intarsia joins at the raglan ‘seam’ lines. 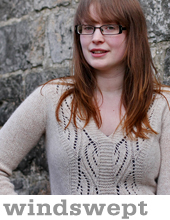 Don’t know how to work an intarsia join? It is extremely simple – you simply lay the previous color yarn over top of the new color yarn, and bring the new yarn up from underneath the old one. This twists the yarns around each other, preventing holes. Check out the tutorial here. You work decreases (and intarsia joins) at the raglan lines, then switch to a single colour for working the collar, which has some short-row shaping. Lastly, you work the hem band and button bands in garter stitch, and graft the underarm stitches that had been left on hold. 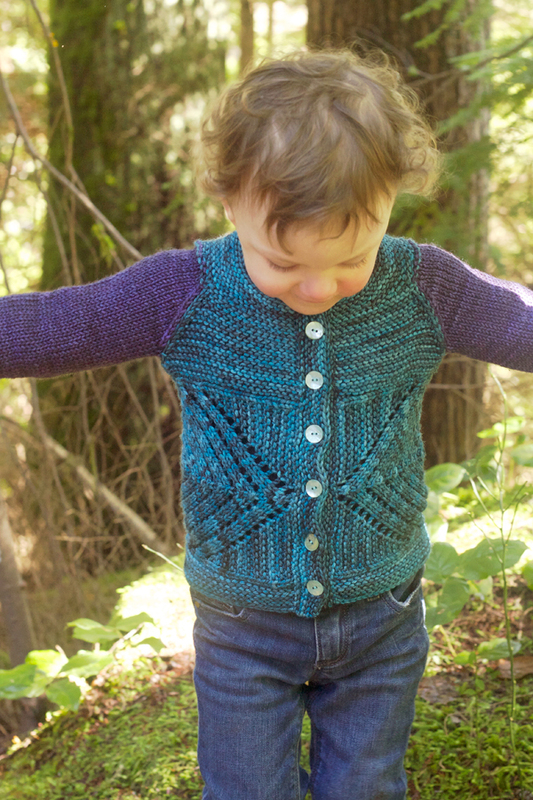 I expect that the Crossed Cardigan will stretch your skills, introduce you to a few new techniques, and produce an adorable and unisex result. If you want to stay up-to-date with our new designs and in-depth tutorials, be sure to get our email updates! Love this design & am always looking for a new challenge & this is it. Thank you. I want this pattern .